Fivestars have many years experience of manufacturing bespoke staircases using all types of materials from stainless steel, hardwood even glass! 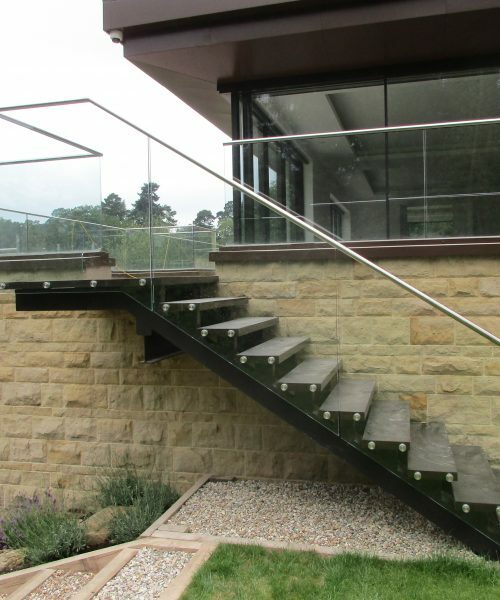 For the last few years we have been specializing with stair treads that appear to hang from the wall with glass balustrade they in fact have a steel core which attaches to the wall but is hidden. Please contact us to discuss any time of bespoke staircase and we are sure we will be able to assist with your project.